You can now link your events to member groups to filter which members can access each event. 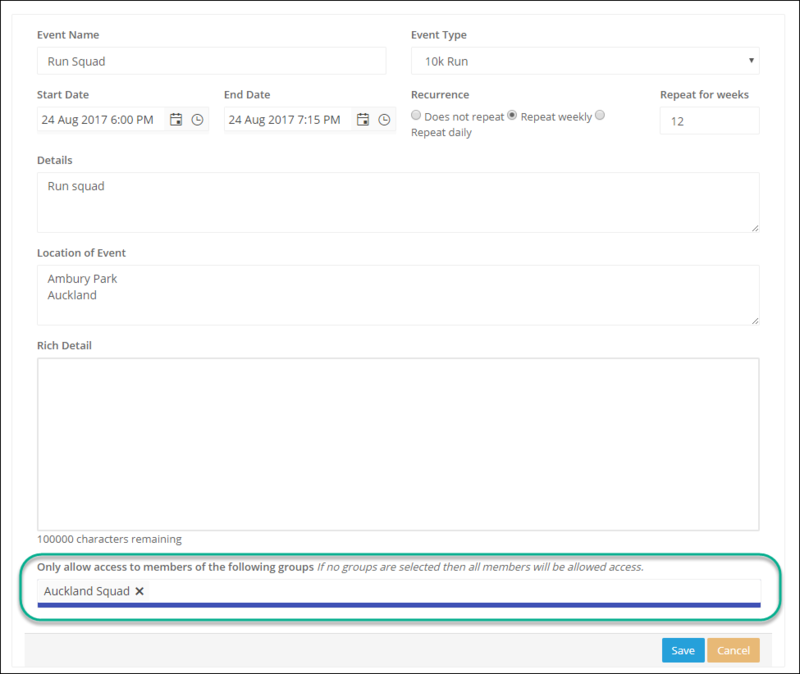 Events can now be linked to groups so members will only see the events linked to groups they are members of. You can also create custom pages to render a calendar to only show events from a specific group. To link a group to an event create or edit an existing event. Select the group(s) you want to be linked to the event then save. No only members of the "Auckland Squad" group will see this event in the events list and events calendar. You can create a new members page by creating a new "custom page" under the menu customization tab on the platform settings page. First you will need to get the unique identifier for the group you want to use. Go to the "member groups" page from the "People" sub menu. 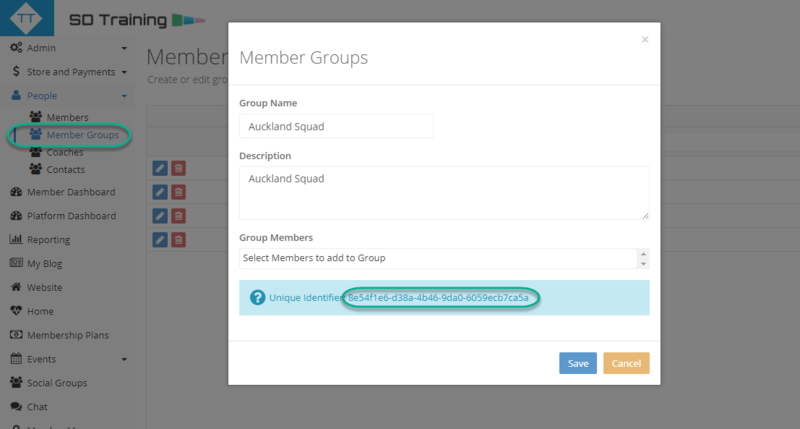 Click the edit button for the group then copy the "unique identifier" for the group as you will need this to create the new page. where 8e54f1e6-d38a-4b46-9da0-6059ecb7ca5a is the unique identifier of the group you copied from the previous step. Add an appropriate title and you can use the icon code "calendar" to use the calendar icon in the menu. Click save and the new calendar page will appear in the members menu. The header of the new events page/calendar will be appended with the name of the group. Note at this stage filtered calendars are only available on the web version. In the mobile version events will be filtered based on whether the user is a member of any linked groups.